Replies: 20 (Who? ), Viewed: 17969 times. Milo and Alice McDonald were a happily married couple with five daringly unruly children. Mrs. McDonald always managed to control them, with love and cookies. But when a terrible accident ripped the family apart by taring Alice from this world. Milo is left caring for his children alone. First you should know, you don't need to use those names they are just what I used. You then moved them onto either an empty lot, or a four bedroom home. (depending on how hard you want to play) You can only have 2,000 dollars to your name, after the funereal experiences, dried up you/his bank account. You quite your cushy bank job to be able to stay at home and raise the kids. You have to raise all five kids to adulthood, and until you get your first grandchild. Your father can only have a part time job or be self employed. kids can be home schooled, but can't attend boarding school. I'm going to do this! Once the teens age up, do you kick them out or do they then have the same rules as the dad (part time job or be self employed)? So glade people are interested! @breze6: It really depends on how hard you want your single father to have it with the kids. After giving it a little thought I think it would be best to move them out, but if you don't no they don't follow the same rules as the dad, they can have a full time job. I completed this challenge. 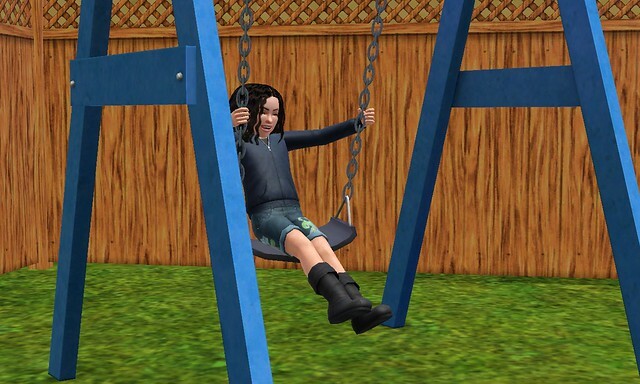 I missed out on choosing my toddler's traits since they were living below the poverty line by a LOT. The toddlers slept outside on the floor since I started on an empty lot with $2000. The rest of the family slept in sleeping bags. Here's my ending family. Blog post before the linked one has my starting family. I love your blog, so glad you pick this to blog! LOL!!! I just wanted to let you know that I've started a story based off of your challenge. I couldn't do it completely because I wanted to use Thornton Wolff, and he dislikes children. I always wanted to do a challenge like this, but I couldn't keep myself on track. Now with someone else making the rules, it should be easy, well, easier. Nothing is going to be easy about this challenge. I'll get started right away!! 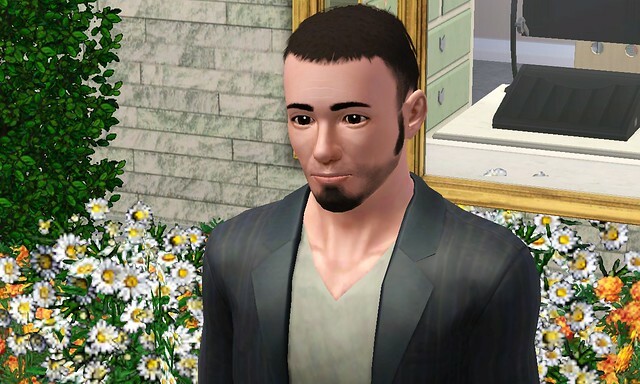 By the way, you have lovely looking sims. This story is wonderful! Keep at it! Me i go to do this one later. And can we have the father die and the mother the 1 who looks after the children? In response to bot your questions, and I'm sorry I didn't get back to you till now. I haven't been in this section of the site for a bit. The point of the challenge is it's a single father story driven challenge. Too take out the single part and gender-swap the founder would kinda change the story a bit don't you think? Now, after you age up the children and complete those hard years you can do what ever you want with the main character, and you could even give him a few romances thought the story, but a steady relationship isn't really what this character would be doing so soon after the death of his wife. Think Dan Tanner, type of character here. I am so going to do this It sounds fun It reminds me of the Full house or better yet The Brady bunch. This sounds fun, I'll have to try it soon! Instead of a one dead mother, could we have a womanizer suddenly getting full custody of five illegitimate children? Maybe the mothers died or lost/gave away custody? This could add some extra depth to the relationships between the father and kids- the teens would hate him for never being involved, the kids would be excited to finally meet him, that sort of thing?